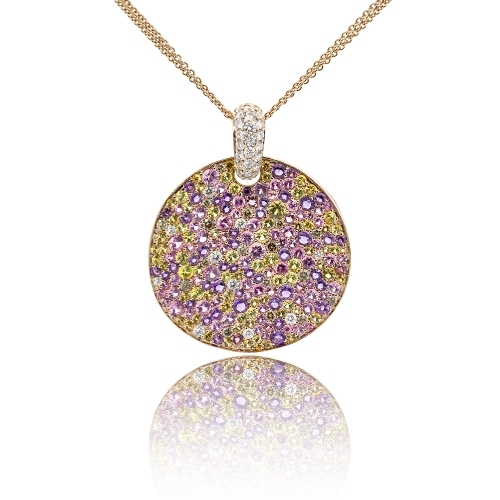 18kt rose gold pendant set with brilliant diamonds, sapphires, amethyst & tourmaline creating a pastel mix of beautiful colors. Diamonds approx.1.37ct. Chain 19"